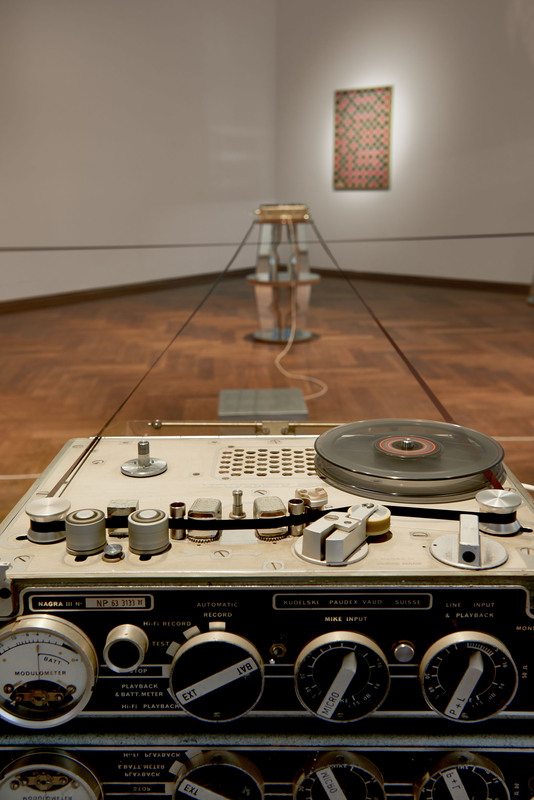 Installation views by Philipp Hänger. 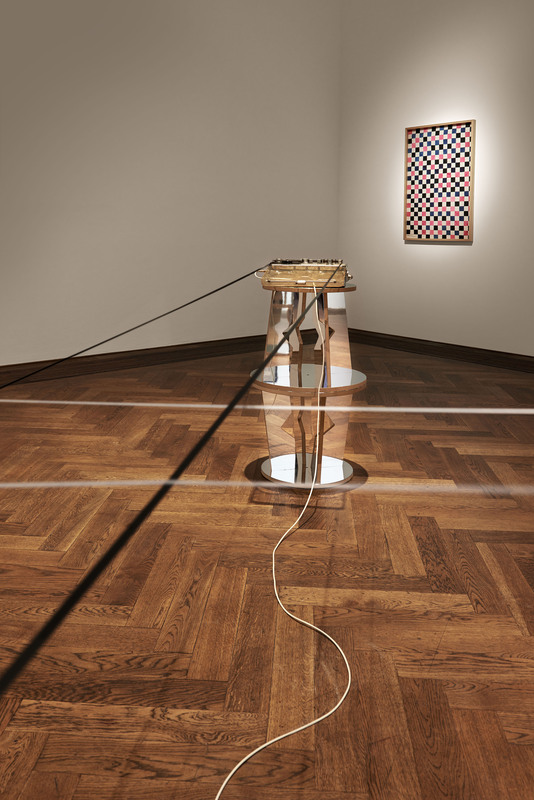 New appointed director Elena Filipovic invited Vincent Meessen to extend his exhibition Patterns for (Re)cognition for his first solo show in Switzerland. 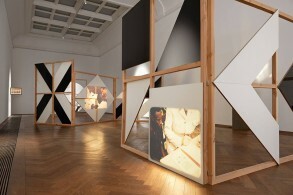 Originally conceived for Kiosk in Ghent (2013), the show in Basel will comprise various new collaborative works (with Kris Kimpe, Aurélie Lierman and Muriel Gerhart) and no less then 29 works by the Congolese modernist painter Thela Tendu, most of which were never shown in public before. Meessen’s research-based practice often includes investigations into gaps in the writing of history, particularly colonial histories. 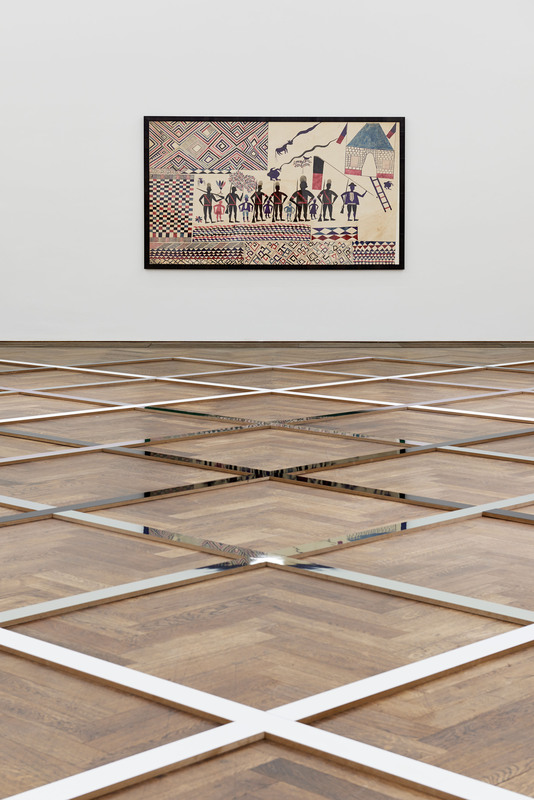 In line with that, Meessen will use his show to present an array of modular structures, found 16-millimeter films, a sound piece, and other collected objects built around a selection of 1930s abstract paintings by the little known Congolese painter Thela Tendu (ca. 1890 – ca. 1960). Meessen here acts as both featured artist and curator of what will be the largest exhibition to date of Tendu’s abstract work (including many pieces never shown publicly before). 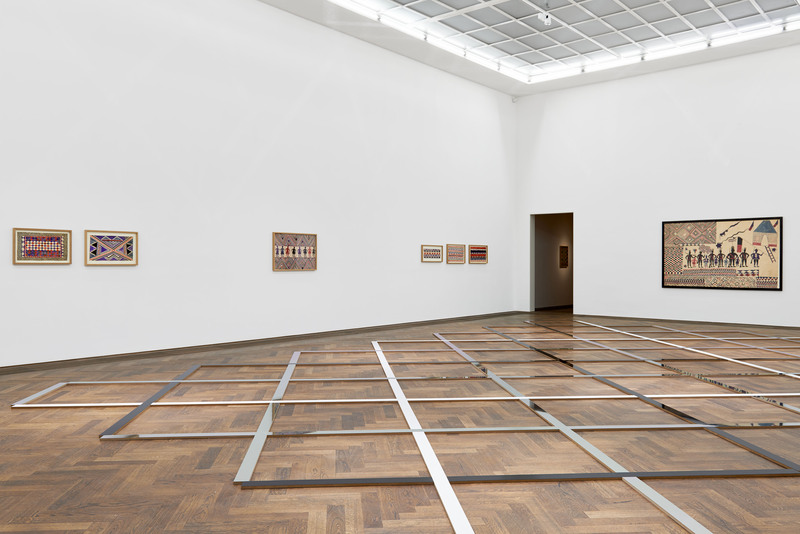 Framing these, Meessen’s elaborate scenography for the exhibition is more than a display device, it is, in his words, a “constructivist scenario” producing the conditions for legibility of Tendu’s stunning abstractions and the colonial history to which they testify. 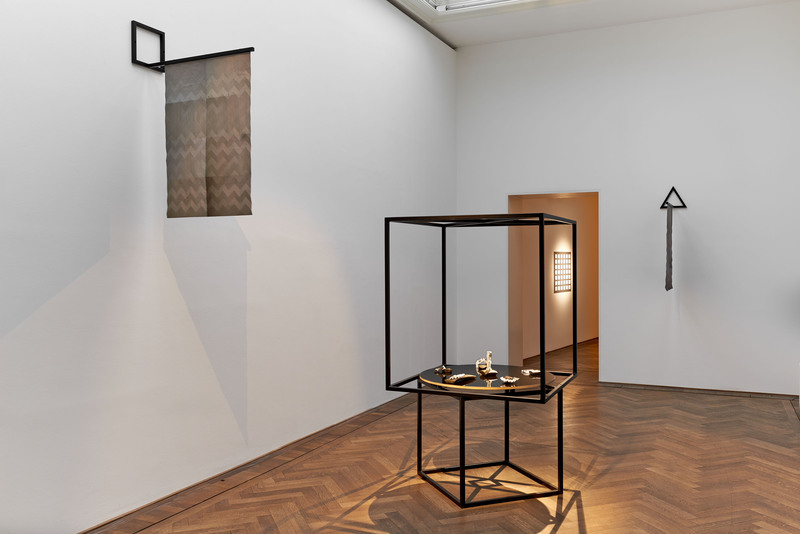 The exhibition in Basel was realised in partnership with the Royal Library of Belgium and with the support of Fundación Almine y Bernard Ruiz-Picasso para el Arte. We specifically would like to thank Pierre Loos and Philippe Vandendriessche for their loans and dedication.